Register to win these products during the month of January. Go to our Facebook page to find out how! Let’s face it: the age-old question of how to look younger is something asked every day. This topic of discussion always garners the most interest and simultaneously, the most skepticism. When temperatures drop and skin becomes dry, chapped and raw, and you’re thinking about the must-have solutions to “shed the dead skin cells,” turning back the clock inevitably comes up. Seek Brands That Offer the “Full Package”. Skincare brands have to be both esthetician AND HERBALIST (no more skin care lines offering just lotions and potions or supplements with their spin on anti-aging)! Try SeabuckWonders. Both parts of the line infuse us with fatty acids, A.K.A, Omegas 3, 6 and 9, which are great because, as we age, we are sorely lacking in these to support our collagen and elastin. SeabuckWonders also pushes the envelope by adding in Omega 7, and delivers the highest concentration of it on the market. 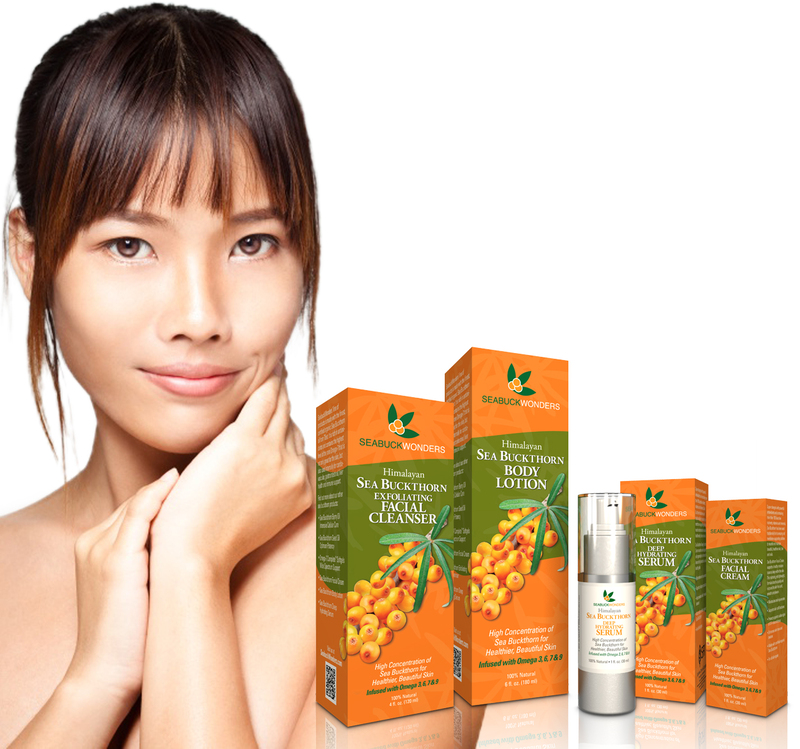 It also boasts Vitamin C, B1, B6 and Beta Carotene that bring nourishment to wrinkles and fine lines at the root source. It’s a one/two punch that works. Juicing Is No Longer A Fad! It’s Here to Stay.Not everyone’s budgets can dictate a daily or weekly trip to juice-a-rama destinations, but fear not, I have the perfect home-based DIY solution. 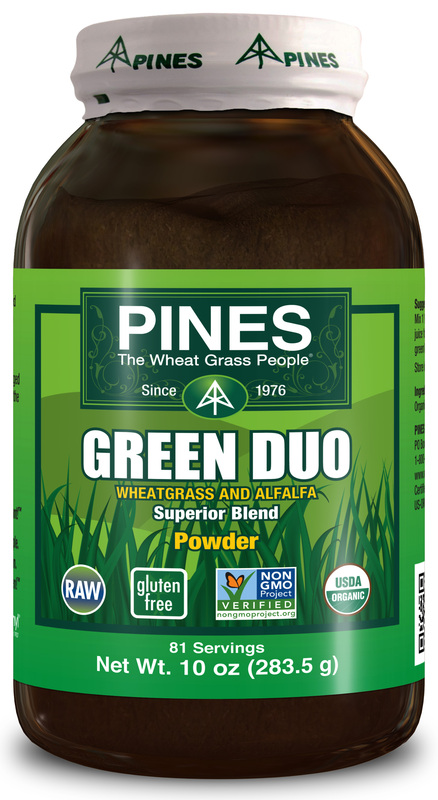 Check out Pines: The Wheat Grass People. In less than a minute a day and for about 25 cents per day, you can have a serving of wheat grass with the same nutrition as a serving of spinach. The Beet Juice Powder is another standout product from this brand, high in lycopene and lutein, which are both players in the anti-aging game for optimal skin health. If Cleopatra Used It…Move Over, Cleo…So Are We! 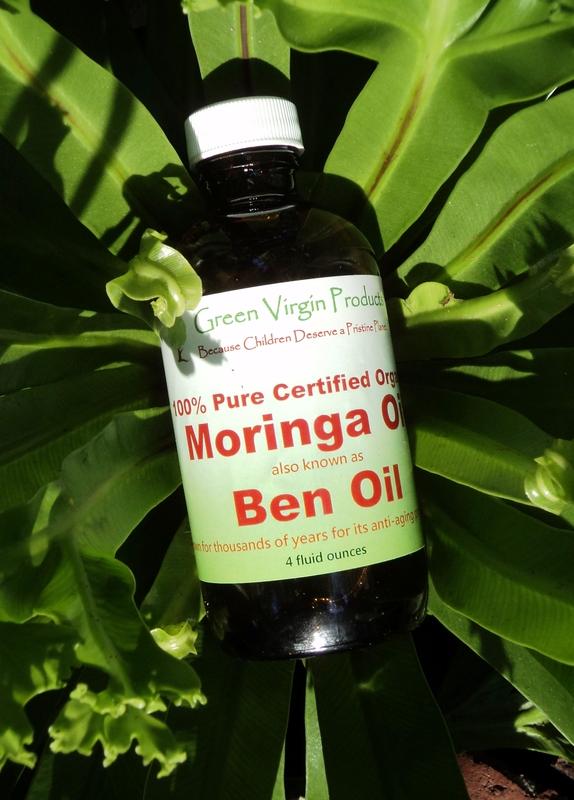 Green Virgin Moringa Oil has been used for thousands of years and was found in the tombs of pharaohs and ancient Egyptians. The thing I love about this workhorse of a beauty product is that it leaves skin noticeably soft and healthy. Lots of the pricy skincare companies are including it in their ingredient lists. It absorbs so swiftly that the moisturizing effect can’t be washed off like almost all other moisturizers. You can multi-task with this bad boy and use in your hair. Apply to damp hair and comb in to disperse it. This also has the ability to work a little magic on cold sores once applied to them. Give it 24 hours and you’ll be in a better place. When it comes to taking care of your skin this winter, work on both the inside and out! Stacy Cox is a Licensed skin care therapist and nationally known TV beauty/fashion/lifestyle expert is owner of Pampered People in Los Angeles, California and co-creator of Lifetime Network’s competition reality series “Blush.” Cox is the gal-in-the-know about the latest trends and shortcuts to affordably pamper women, men, and teens! An admitted beauty junkie with a kitchen pantry that rivals Sephora, and a closet that rivals Bloomies, Cox turned her passion for lotion, potions, and fashion into a career in 1999. She has become a household name, thanks to regular appearances on The View, The Dr. Oz Show, The OWN Network, The Style Network, E! News & Hallmark Channel’s “Marie” (Osmond). On line she’s spent years contributing her style and beauty savvy blogging for www.makeup.com, www.stylebakery.com and StyleList among others.